First up, you want to sieve the flour and baking powder into the sugar. Sieving will ensure you end up with super fluffy pancakes! In a seperate bowl, mix together the butter, milk, and egg. Next, mix the wet and dry mixtures together, and beat until a smooth batter is formed. Finally, on a heated pan, melt a bit of butter and spoon some of the mixture on – the mixture will be super thick, but it’s meant to be! 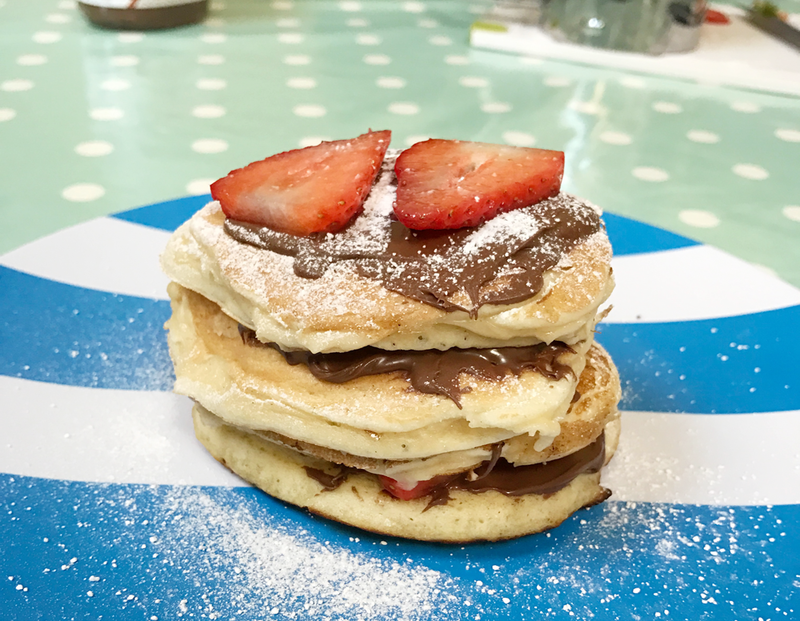 You can serve the pancakes however you want, Jamie and I went sweet with lots of Nutella and some fresh strawberries for the benefit of the doubt! They were so delicious and I know we’re going to be whipping up another batch soon! Have you tried American Pancakes before? "Romantic date ideas that wont break the bank"
"Christmas Gift Guide for Him under £20"